More embedded YouTube videos of grooming and scritching that demonstrate great techniques to help you and your rat bond. "Rapunzel giving a manicure." Very industrious Rapunzel. Those fingernails are clearly too long. "Kenji enjoying a good belly-stroking." Look how Kenji stands there making sure his tummy is accessible to his human! Amelie is manicuring a finger through the bars. 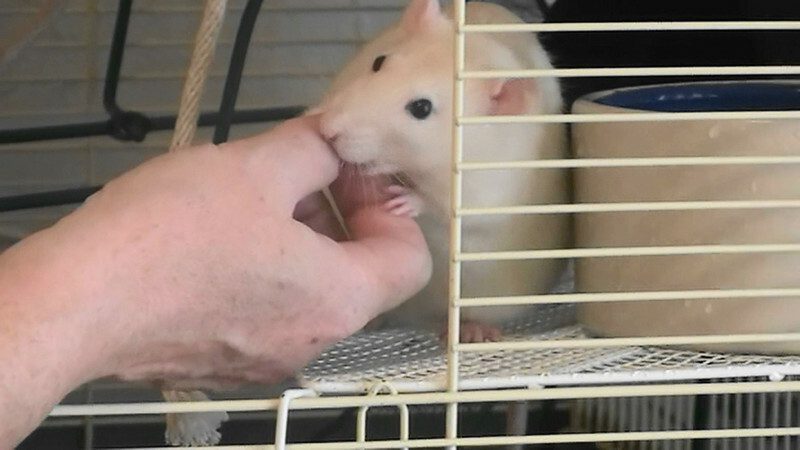 There's also some rat-rat wrestling when Bijou tries to drag Samara into her nest against her will.